I love this time of year, the longer days and so much more light, and this year…wow, the winter that wasn’t! 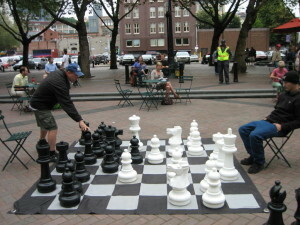 We have lots going on in Pioneer Square. New buildings, new businesses, the launch of theSounders season, and we hear rumors that eventually, we will see a streetcar. Alliance staff are hard at work on a series of events and planning processes that will help shape our neighborhood. Construction, loss of parking, what to do?? Get out, get involved, visit a new shop or one of your long time favorites. It really does take a all of us to make a better neighborhood. Have a lovely month. See you in the neighborhood! • Intrigue Chocolate Co. has signed the lease on the new retail space just east of the intersection of Jackson and Occidental. Owners Aaron Barthel and Karl Mueller currently operate from a small kitchen down Washington street west of 1st avenue on the second floor of a historic building. Despite being a bit tricky to find, their walk-in traffic has grown to exceed the small shop’s capacity. A dedicated street-level shop will give them more room for their conversational-style retail and chocolate tasting experience. Look for their sign to go in the window in a couple months. Want to help support the build-out of the space and chocolate tasting bar? Check out their Community Sourced Capital fundraising campaign. • Could we be more excited? The Sounders FC season kicks into gear with the first match onSunday, March 8. GO SOUNDERS! 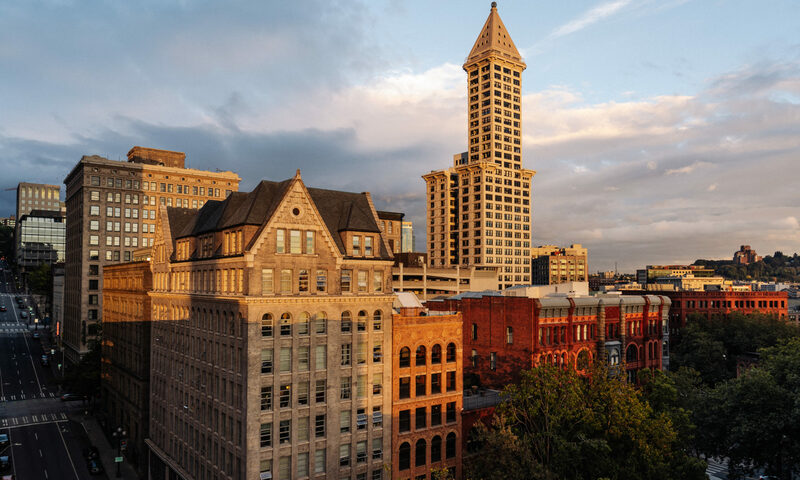 • The opening of Nordo’s Culinarium and “Don Nordo del Midwest”, the inaugural show in Pioneer Square’s Globe Building at 109 S Main will be next month. Check out the article in this month’s City Arts, then order your tickets at CafeNordo.com. • Nirmal’s will be serving “re-imagined” Indian food on Occidental Ave in the Interurban Building soon. The build-out is happening and plans for signage and a sidewalk café will go to the Preservation Board are in the works. Gita Bangera, the owner, reports that Chef Nirmal’s visa was approved. He’ll be arriving in Pioneer Square in the next few weeks. • The Faerie Queen at 90 Yesler Way is shooting to be open for lunch and happy hour on Monday, March 16th! Una Kim, the owner, says the focus will be seafood and they’ll be serving oysters for lunch and happy hour Monday-Friday. • We’re thrilled about the opening of the Mariane Ibrahim Gallery at 608 2nd Ave. “Maimouna Guerresi—Light Bodies” will no doubt draw lots of attention during this month’s First Thursday Art Walk. Stop by and welcome them to the neighborhood! • Gallery Frames completed their move to 311 3rd Ave S. Though Daniel says they’re still getting settled, they’re open for business and eager for everyone to stop by to see the new digs. • Sweetgrass – a new organic, whole foods restaurant is scheduled to open this fall in the long-vacant space on 1st Ave S between Damn the Weather and Tango Zulu. 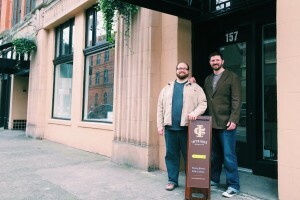 Their plans for a juice bar – and juice growlers – are creating quite the buzz. Colleen Kerr and Michael Moon are opening another location in a different Seattle neighborhood this summer, but we all know where they will really shine, right? • Girin is still on track to open their seasonal Korean restaurant in Stadium Place next month. Chef Brandon Kirksey, formerly of San Francisco’s flour+water and Ethan Stowell’s Tavolata will lead the kitchen. • As you may have heard, the Post Office at 93 S. Jackson is looking for a new space. We are working with the USPS real estate brokers to help them find another space in the neighborhood. We’ll keep you posted as more information is available. • AND construction on 200 Occidental will soon be underway. The developer for this game-changing development is Urban Visions. Weyerhaeuser – in case you haven’t heard – will be the office tenant. 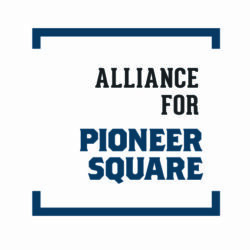 • And for Pioneer Square business owners who’d like to learn more about the implementation of the Minimum Wage Ordinance, there are a few public meetings that may be helpful, including an event sponsored by OED and WorkSource scheduled for April 8. I’m compiling a list, so give me a shout if you’d like details. You can also go direct to the City’s Minimum Wage website for more information. Wow. That’s a lot of information, yet I’m sure I forgot something. These are great times in our neighborhood. Get out there to see what you can see and stay in touch! Bertha, the SR 99 tunneling machine, reached a big milestone in February by breaking through the wall of the pit crews will use to access the machine and make repairs. 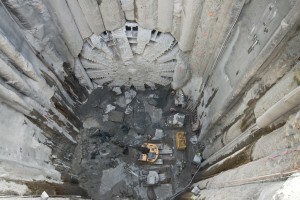 Join us this Thursday at Milepost 31 as we discuss Bertha’s breakthrough and the next steps for Seattle Tunnel Partners as they work to resume tunneling. Please send an email to viaduct@wsdot.wa.gov to suggest future Speaker Series topics. Report Graffiti in PSQ by Phone, Web, or App! Graffiti-ed walls are magnets for more tags and vandalism. Be on the look out to report graffiti, and other issues such as potholes and more through the Find It, Fix It app or online or call 206-684-7587. 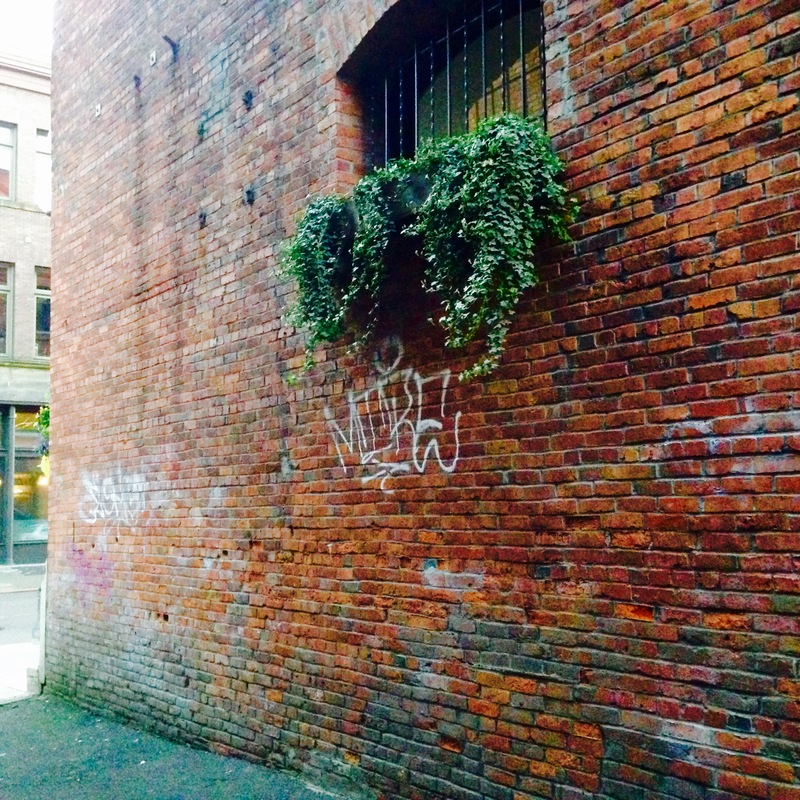 If graffiti shows up on your property, make a police report by calling 206-625-5011. Learn more. 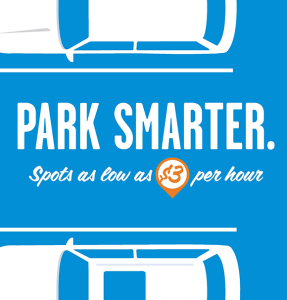 The Alliance for Pioneer Square is partnering with WSDOT, the City of Seattle, Downtown Seattle Association and nearby parking garages to offer parking spaces for just $3/hour, up to four hours. Read more. Email Carly@pioneersquare.org to find out how to post this information to your business website. 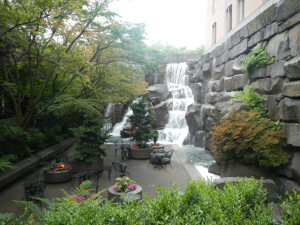 If you are familiar with Occidental Square Park and/or Westlake Park in downtown Seattle. Please take a moment and take this Parks Survey. Parks staff learn from your feedback! It takes about 3 minutes to complete. Interested in curbspace, come on we know you are. Please take SDOT’s survey regarding use of curbspace downtown.